In 1790, Rhode Island was the last of the original 13 colonies to ratify the Constitution, and the next state up on our beer adventure. For this week, there are three different beers on the tasting table. Two from Providence, and one from, well, we will get to that. devastating effects of prohibition and barely made it out the other side. When prohibition did finally end, Narragansett was in financial distress, however with some help, the company came back and by 1955 it was once again the largest selling beer in New England. However after a series of mergers and acquisitions, typical of the industry during the late 60’s and early 70’s, Narragansett closed its doors in 1981. The early 1980s was a rough time for breweries in America, with about 100 breweries existing nationwide at that time, the lowest number in the history of the country, including the prohibition era. It is a hard concept to grasp that the post World War II era was more devastating to the brewing industry than the Prohibition era. The blame for this devastation could easily be placed on the big national brewers that were growing fast at the time, and while partly responsible, the story is more complicated. Another factor that contributed to the decline was the change in the way consumers purchased their beer. Prior to the war most beer was purchased and consumed at local taverns and pubs, however post WWII, home refrigeration became more prevalent and the ability to bottle and can beer became more economical resulting in a decline of draft sales. Thankfully, we have gotten beyond the low point of the 80s, and the beer industry is once again booming with each state providing a variety of choices from multiple breweries. Included in the list of thriving breweries is the reincarnated Narragansett brewery. In 2005, The Narragansett name was revived by a group of Rhode Island investors, and seven unique products are now available for consumers. Of those, two were part of our tasting this week, and that gets us back to the origin of this weeks selections. From ‘Gansett, The Lager and Bock were selected. 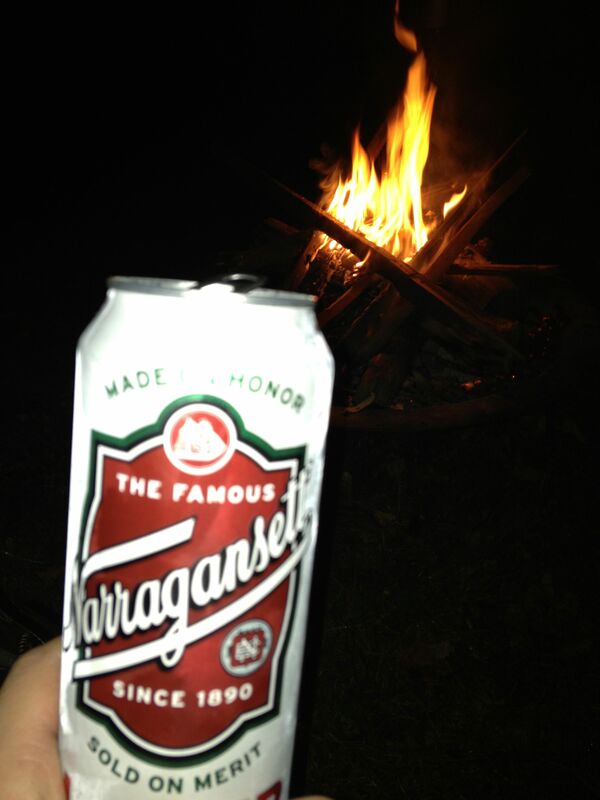 Narragansett is currently a contract brewery, and that means they are not brewing their beer in Rhode Island. According to their website, the Lager is currently brewed in Rochester, New York, and the Bock is brewed in Providence, Rhode Island. So, we can count one of the two as being from Rhode Island, same situation as we encountered in New Hampshire. Each of these beers are what I would consider a summer, backyard, fire pit beer. They are not packed with the complex flavors and character as seen in other craft beers. To me, they are just typical beer. They are good but if I am looking for a single beer to enjoy with a meal, or to unwind with, this is not where I am going. However if I have to hang out after a long day of working in the yard, I wouldn’t mind a nice can of Lager or Bock. 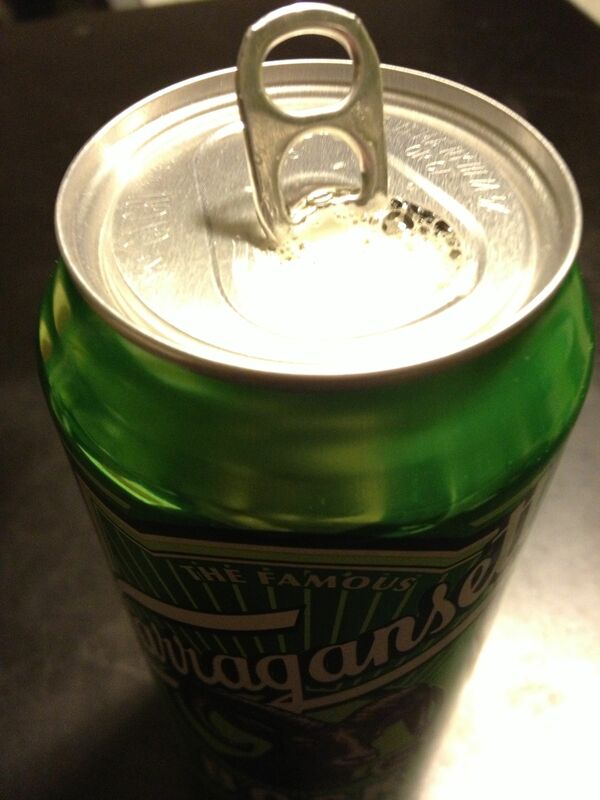 Narragansett) from the state. 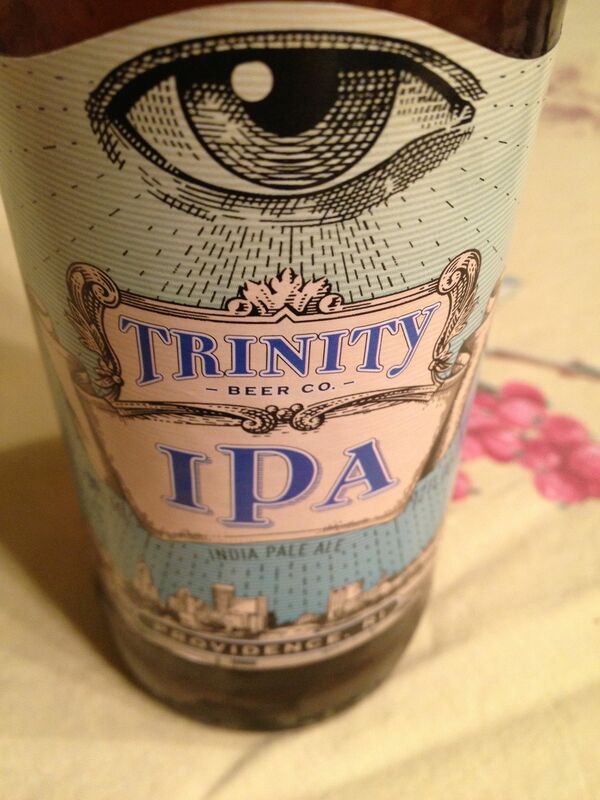 This beer was also ok, but it wasn’t anywhere near as good as other IPAs encountered during this project. It was just a typical, highly hopped bitterness, without the lovely citrus or piney smells and tastes characteristic of a better IPA. Being a border state to Massachusetts I was once again surprised at the limited availability of beer from Rhode Island. However with only 6 breweries in the state, I guess I shouldn’t be too surprised. Next week, we are still in New England, with Vermont.